Colour Digital Printing has become the preferred method of printing. The Letter Shop offers a wide range of colour digital printing services, with quick turnaround times and competitive rates. Using colour in your printed materials is a great way to catch your audience’s eye and communicate your message with punch – and our high-quality digital colour printing from our Konica Minolta Bizhub C8000 will make you stand out from the crowd. Not only fast and efficient, The Bizhub uses an environmentally friendly Simtri toner. Advertising Materials – print advertising isn’t dead! Let us help you with your printed advertising materials and ensure your message is communicated. We recommend our colour digital printing services for full – colour print ads. 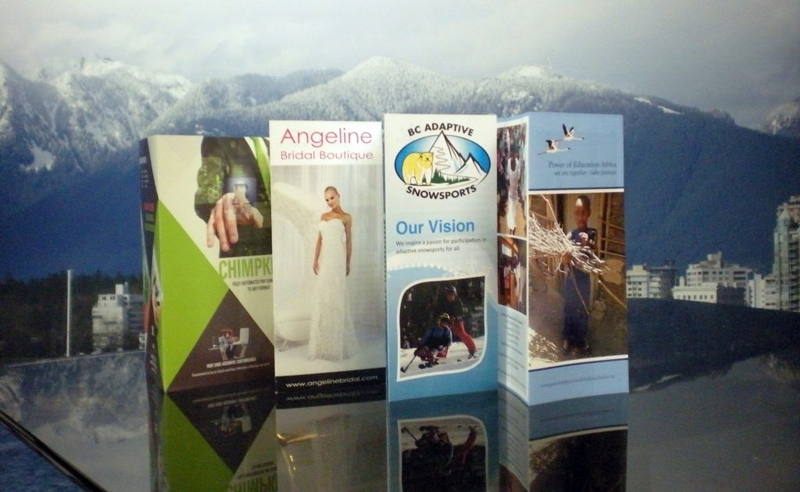 Brochures + Flyers – we have great depth of expertise in helping businesses create colourful, unique brochures and flyers. Invitations + Greeting Cards – high quality, glossy invites and greeting cards will add credibility to your business or event. Add a splash of colour for maximum impact. Presentation Materials – whether it’s handouts for meetings or print-versions of PowerPoint slides, we can help make your presentation memorable, and provide attendees with a package they will keep and share. Stickers + Labels – our mailing list processing systems are second to none. Let us create labels for your mailouts, stickers for your meetings, and more. Photos + Photo Albums – digital cameras and smartphones take great photos, but few people actually have them printed. Let The Letter Shop print your photos for a reasonable rate, and create memorable photo albums.